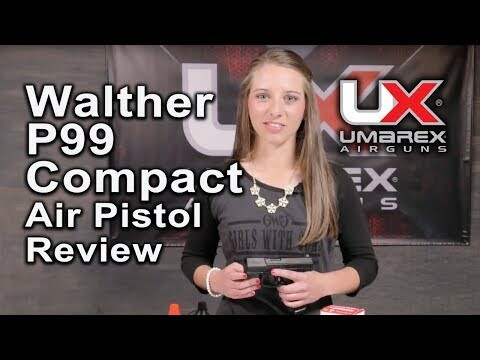 The Walther CP99 is a semi-automatic pistol chambered in .40 S&W or 9×19mm Parabellum. It was developed for law enforcement, security forces and the civilian shooting market and is used by the German and Polish Police and the Finnish Army's special forces and military police. The compact variant was designed for concealed carry. This replica Compact CP99 by Umarex (fully licensed by Walther) is a CO² powered, semi-automatic, 4.5mm BB air pistol with a blow-back action and true to the original it carries authentic markings.